We’ve made this heli our new flagship machine. LOGO 600-3D is designed for extreme 3D flying. 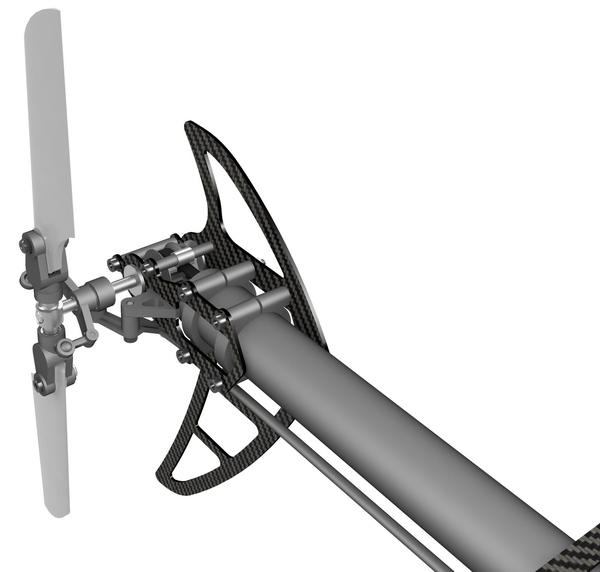 The kit includes a 25 mm tailboom, a carbon tail rotor case, hardened main rotor shaft, light 3D paddles, carbon stabilizers, and tail rotor hub with four ball bearings and two thrust-bearings. LOGO 600 3D is fully-ball-raced. The mainframe consists of a right and a left frame made from glassfiber-reinforced polymer. A number of components which are usually separate parts are fully integrated into this frame, and do not have to be bought separately, for example bearing case, battery tray and servo mounting plate. There is ample space for any brand of available battery. 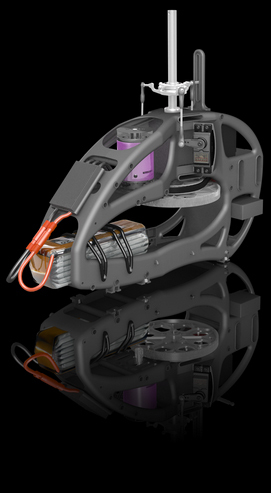 The mainframe offers enough room for motors of up to 56 mm in diameter. Experience of previous years shows that conventional gear trains have reached their limit with regard to performance. The increasing power made available by latest Lipoly batteries calls for new concepts. 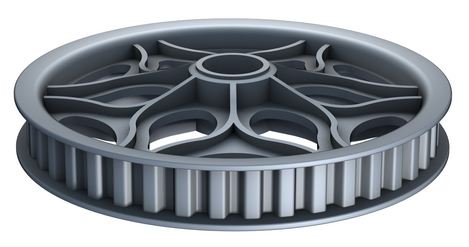 We are proud to present this new gear technology, which includes herringbone gears. This type of gear has never before been used in a model helicopter.